Resins and other chemicals for the textile industry. Resins and other chemicals for leather production. Wana Química is always looking for news and has a high quality staff that develops new technologies following the dynamism of the markets in which the company operates. 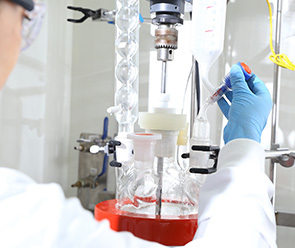 Wana has highly skilled laboratories at its headquarters and subsidiary, enabling advanced studies and suggestions for improvements in the formulations often reducing the cost while maintaining and even improving the quality of the final product. The quality control of raw materials and product output is a key component to ensure the quality of all the products for demanding Wana Quimica customers. 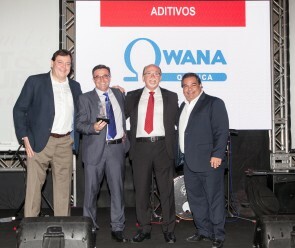 On May 6th, 2016 Wana took another award on the Paint&Pintura Awards in the THICKENER category. 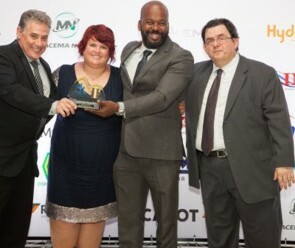 This is the second time Wana takes an award on this category, evidencing its quality and presence in the market. Wana Química has as one of its values, harmony and cordiality, which is practiced inside and outside the company. As specified in its mission ("... Having based on the quality, safety, environment and social action in the community where it is located. "), Wana Química values human being and is always very present in the community in which it is inserted in Jacarei. 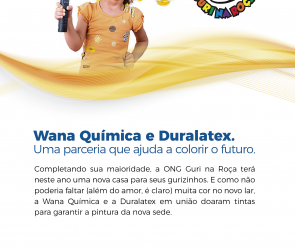 Wana Química performs actions on Pagador Andrade neighborhood schools, in holidays such as Easter, Children's Day and Christmas, as well as other projects in the city of Jacareí and also in São José dos Campos. Wana supports and participates in Projeto Descubra Jacareí (Discover Jacarei Project), where the company's doors are opened to present the day by day from an industry to high school youth, encouraging them regarding careers. Wana sponsors Corrida da Fraternidade (Race Brotherhood) in favor of Lar Fraterno de Acácia (Fraternal Home Acacia), an institution that supports seniors in Jacarei. In São José dos Campos, neighboring city, often helps with Casa Recomeço, donating items for special occasions. 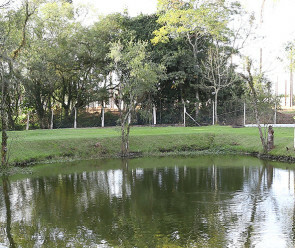 Casa Recomeço is an institution that supports patients undergoing cancer treatment.